I build a modern travel journal app to capture my travel story for the past 3 years: visited 5 countries and 25 cities, dine at 452 restaurants, experienced 148 attractions and stayed at 40 hotels. Beautiful travel moments are pleasant to relive, and I have finally produce something good-looking after multiple iterations. Moments are easily searchable as well, including searching by location. Group moments together into a journey, making it easy to browse and share my great adventures. You can easily share your itinerary with other. 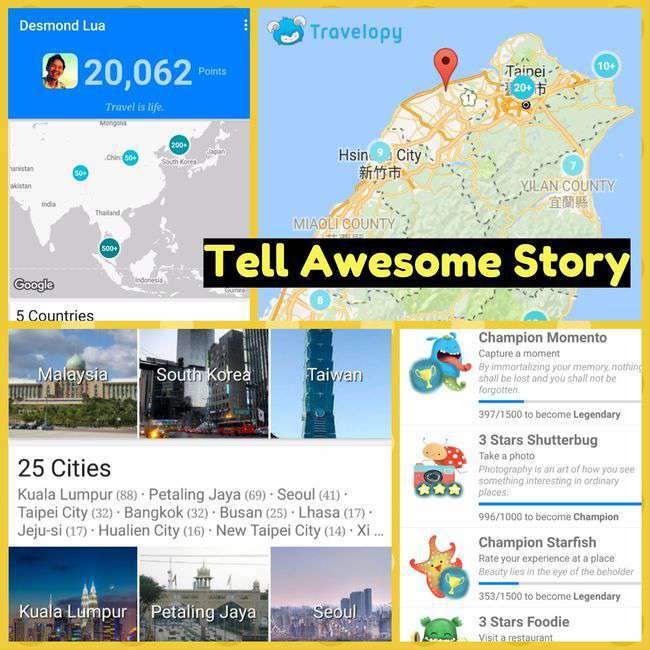 My travel story is magically generated to show the countries, cities and places I had been to. My regular and favorite places are highlighted as well. Best Travel Journal App (Android), for me. 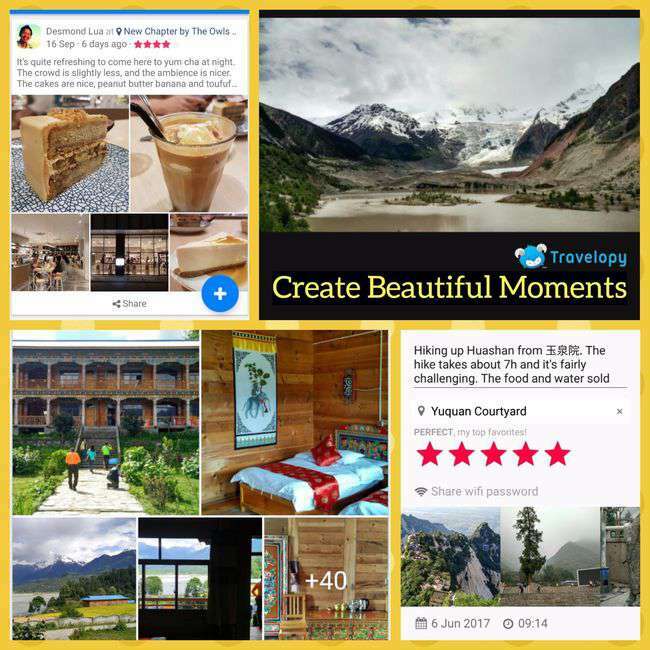 I enjoy travel a lot, and I design an App to capture my travel moments: something quick, intuitive and memorable. I dislike doing a travel blog because it is tedious: I usually end up taking thousands of photos and writing pages of travel diary every night, and feeling dreadful to spend months organizing them when the trip is over. I want something instant, like a Facebook and Twitter post. Social media is really good for sharing at the moment in time, but sadly the post will be “lost” over time, drowned by the latest feeds. I wanted a dedicated space to store my travel adventure, and also a place I can easily share my travel itinerary to friend in needs. My wife and I travelled in South Korea for 3 weeks at the end of 2016 and the following are my observations. Somehow I have the strange assumption that’s Korea will be like Japan, which is not true. The thing is, Japan legendary cleanliness and politeness remain unchallenged. Korea is cheaper than Japan, and senior Koreans do speak pretty loud; Korean are generally nice. You can get a 4G Sim Card (or Wifi Egg) at the Airport (70000won for 30 days); you can make calls if you get the 4G Sim Card, which is charged upon return based on usage. Internet is stable and fast. 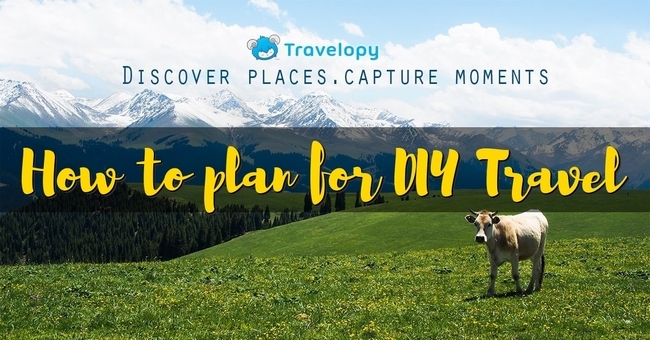 DIY Travel: to travel freely without guided tour and relying on public transport. The first thing to do is select a destination (I shall give a Malaysia perspective). If budget is a constraint, you can go for Thailand, Indonesia, Cambodia or Vietnam. If you like comfort, you can opt for Japan, South Korea, Taiwan, Hong Kong, Australia or New Zealand. If you have more money and would like to go far: Europe. If you are more adventurous: Nepal, India, etc. 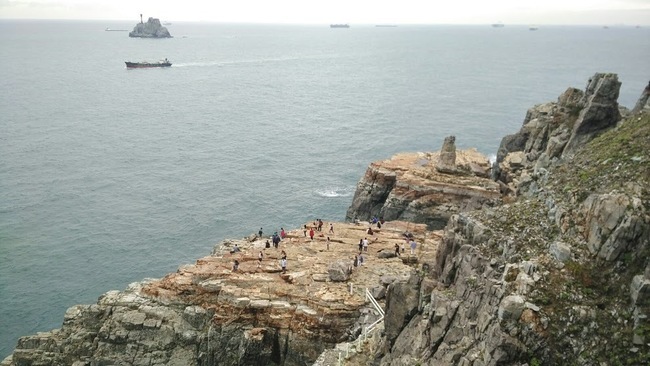 I was thinking of Japan because it’s comfortable and nice country to visit to (though a bit pricy), but opt for South Korea instead because my wife and I haven’t been there before and it’s slightly more affordable than Japan. Booking air ticket is an important gesture to kick-start the planning process in motion, as there is “no turning back”. We are most likely to eat out every day, and we face the same questions of where to eat? We might have our usual or favourites, we might have made the decisions a few hundred times before, but sometimes we are just fatigue of choices and need a helping hand to decide. Randomly select nearby places, or you can filter you selection to Restaurants or Café only. You can change your location and randomly select places near a specific location. You can create a favourite list and randomly select from the list. You can randomly pick from your favourite lunch places list, or help you decide on your wish list. May the odds be ever in your favour. 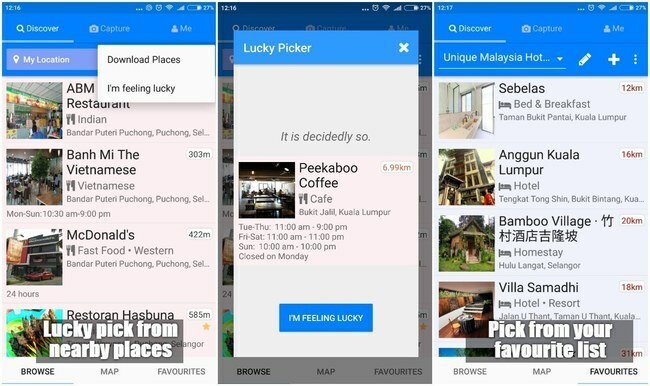 Feel lucky to get Travelopy Android App. A few years back I wanted a journal app to easily record my travel journey. I wanted to map out my journey and share it with my friends who ask about my journey. Create a post to describe what I am doing here, or what’s good about this place. I don’t need fancy formatting, just simple short text. Record the place GPS location or let me identify this place from Google Places or Foursquare. Attach a few photos to this post. 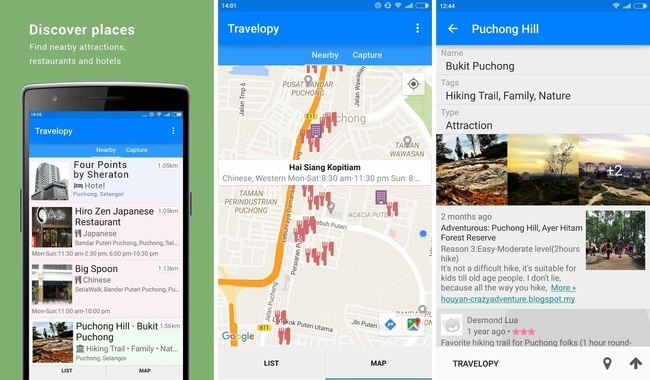 It’s more convenient when we are on the move and the Travelopy Androip App could show us interesting nearby places. Sometimes we might not have Internet connections (oversea, out of coverage, etc. ), so the app is built with offline support (you pre-download places by country, currently support Malaysia, Taiwan, Japan, etc.). We help you discover nearby attractions, restaurants and hotels. We show you how far is it, how to get there, opening hours and price, while showing relevant photos and recommendations by fellow travellers. Taking photos are part of traveling. You can capture the perfect moment with a short note, tag a place while snapping a few photos. It’s like a quick and simple journal to remember your journey, places you been to and crazy things you did. Where to upload your travel photos? Taken tons of travel photos but don’t know where to store them? If you store them in your computer or smart phone, it will eventually be lost when the device is spoiled or stolen. Even if you backup them to an external drive, the drive might be lost or spoiled. The safer and cheaper alternative is to store them in the cloud (upload them to the Internet). Many provide free storage. 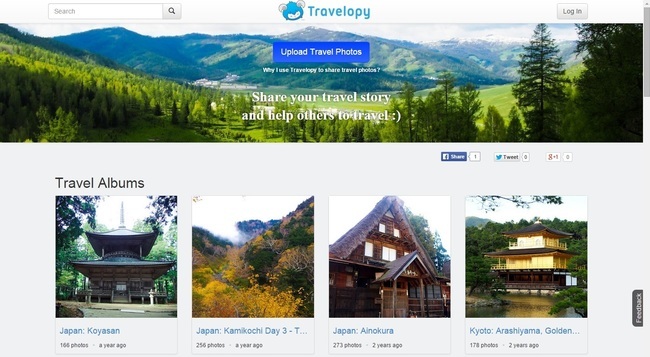 If you take lots of photos and write a little, Travelopy is a good choice. You can tag places to create a travel map, and it automatically generate a timeline story of all your travel adventures. It is a community for traveler to share travel stories and tips with fellow travelers. Travelopy offers unlimited storage as long as most of it is travel related. 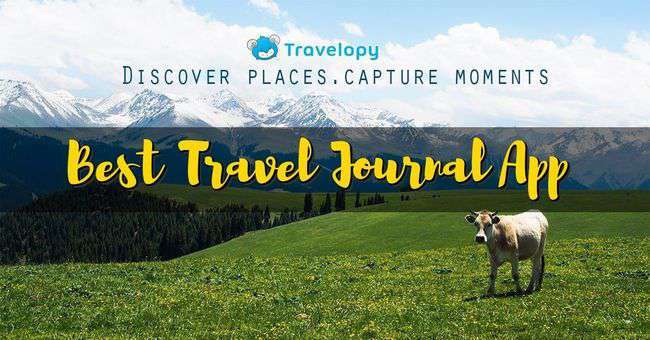 Travelopy: a travel album + blog. 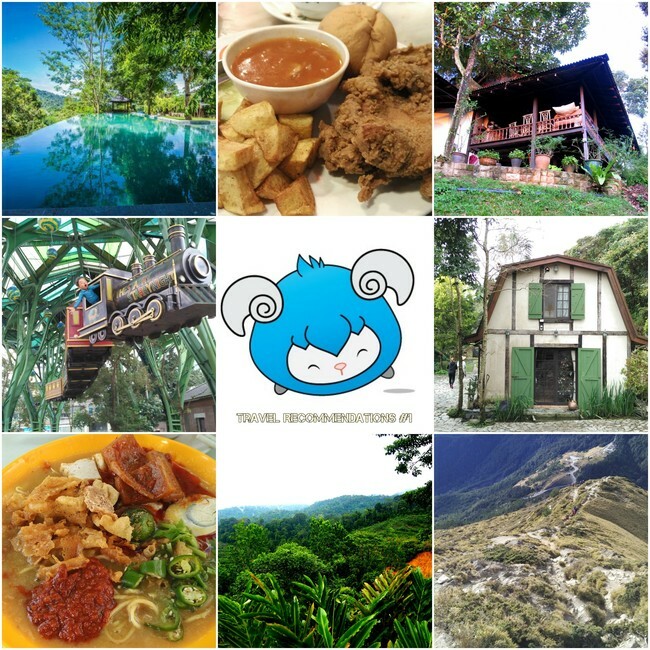 I build Travelopy to share my travel story as photo album + blog. If you like taking plenty of travel photos and write a little, you would love this. 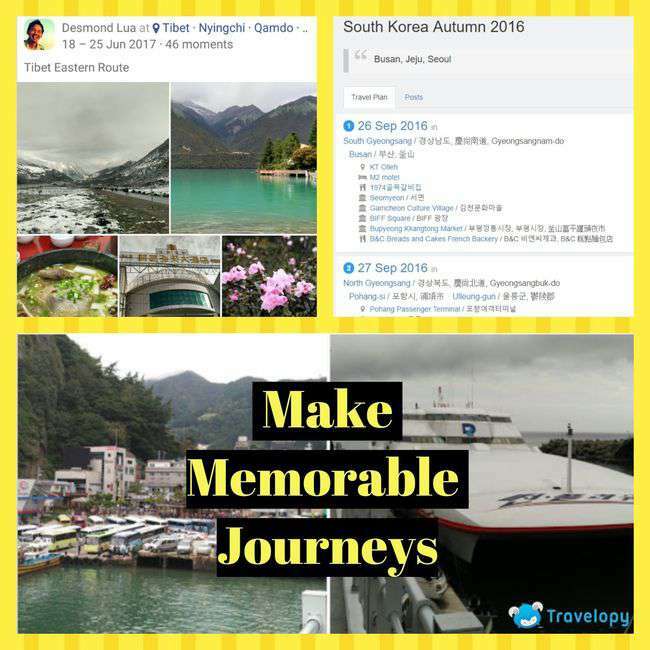 I can easily add notes about my travel experience in between the photos (like a photo blog). I can categorize my album to sections, adding a header to explain what a group of photos is about. I can enlarge certain photos which I found interesting. All highlighted photos are added into my favourites as My Highlights. All my panorama photos are automatically enlarged to full view, and added into my favourites as My Panoramas. I can tag each photo with a location so that I know where I have been to, and a trail map is generated for me.